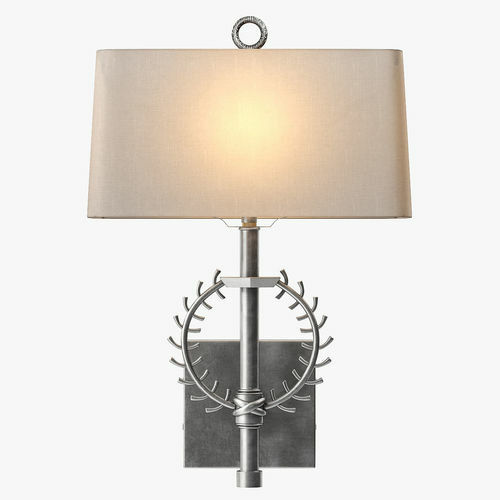 This vintage silver lamp takes a simplified interpretation of the classic Greek laurel wreath and pairs it with a thoroughly modern soft cloud gray shade to create the perfect balance between old and new. Constructed of brass, this lamp would be gorgeous as a single or in pairs in a family room, study, bedroom, or an entry space. Instance geometry, one multi-submaterial for model for easy change or setup.